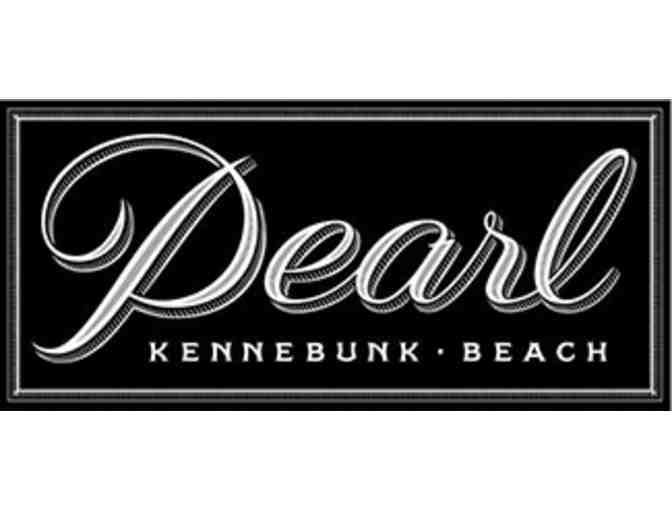 From Rebecca Charles, Chef/Owner of the legendary Pearl Oyster Bar in New York, comes Pearl Kennebunk Beach. Enjoy the warm ambiance, quenching cocktails and delicious food. 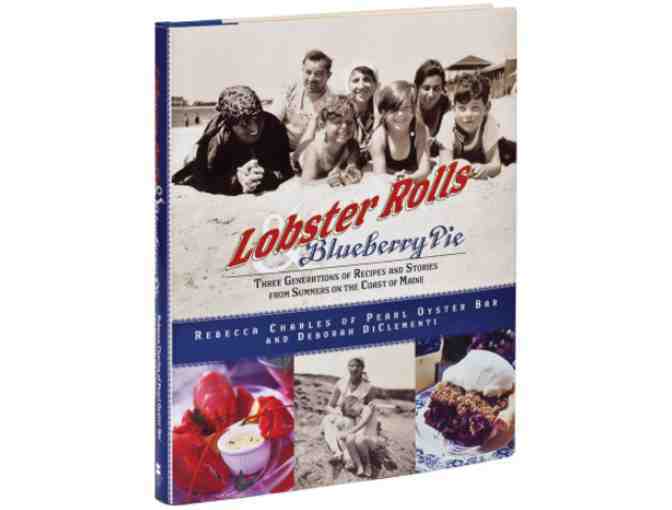 In addition to the gift certificate, the winner of this item will receive Lobster Rolls & Blueberry Pie: Three generations of recipes and stories from summers on the coast of Maine. 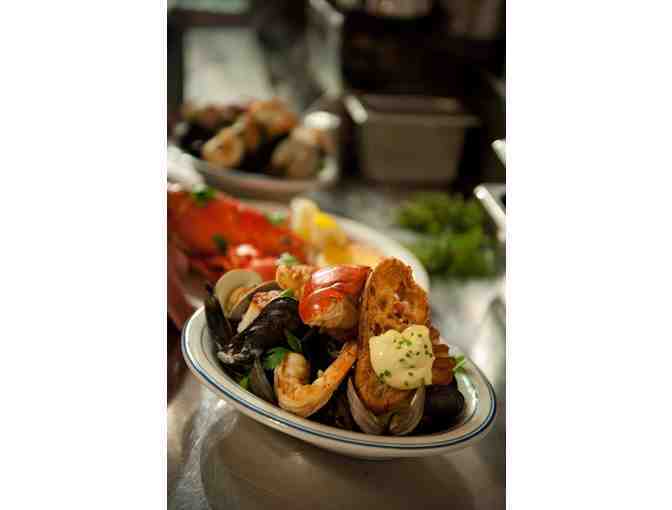 The summers that acclaimed chef Rebecca Charles and her family spent swimming in the Atlantic, scouring the beach for shells, and eating shore dinners inspired her to open the famed Greenwich Village restaurant Pearl Oyster Bar. In this heartwarming memoir, Rebecca combines more than seventy of her favorite recipes with captivating family stories. Rebecca's adventurous granduncle Sam Goldsmith first took the family from the sweltering summer streets of Brooklyn to the exclusive seaside resort of Kennebunkport. But it was his sister–in–law Pearle Goldsmith, Pearl Oyster Bar's namesake and an opera singer with the Metropolitan and New York City operas, who fell in love with the rugged coast of Maine. Pearle passed this love on to her daughter, Eleanor, and her granddaughter, Rebecca. Rebecca recounts her family's three–generation love affair with the small Yankee fishing village and shares the recipes that have New Yorkers waiting in line for hours to taste what food writer Ed Levine described as "the best lobster roll I have ever eaten." Rebecca breathes new life into classic beach food. Whether re–creating an old–time clambake or grilling a whole pompano, she imparts the expertise that has made her one of the foremost seafood chefs in the country.